Before The New York Times published its story exposing the many allegations of sexual harassment that have been brought against producer Harvey Weinstein, JAY-Z had been working with him and The Weinstein Company on a few documentary projects—specifically Spike’s Time: The Kalief Browder Story and an upcoming Trayvon Martin series. 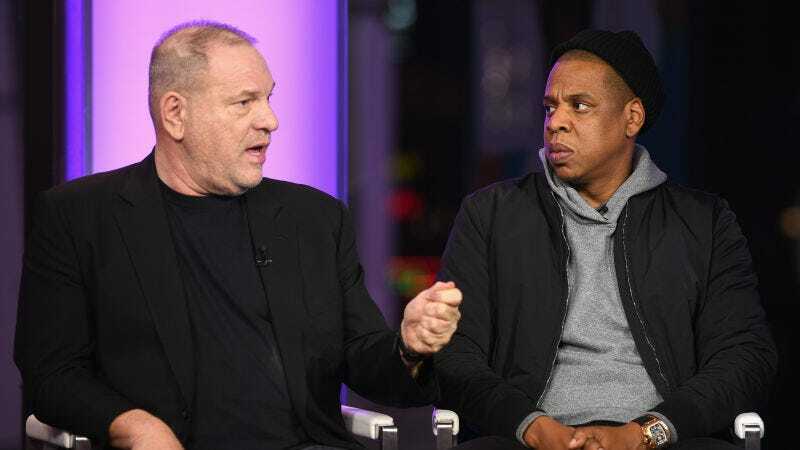 Weinstein has now been fired from the production company he co-founded, but JAY-Z might not be finished working with The Weinstein Company. In fact, TMZ says that he might even be interested in partly taking over Weinstein’s 23 percent stake. JAY-Z isn’t the only one preparing to possibly make this bid, though, as TMZ says he’s working with a few other investors “including a famous movie producer and a billionaire.” It’s unclear why this billionaire in particular can’t just take over Weinstein’s stake themselves, but it’s probably because JAY-Z is the one spearheading this plan.